This statistic presents the most viewed YouTubers of all time, sorted by views. 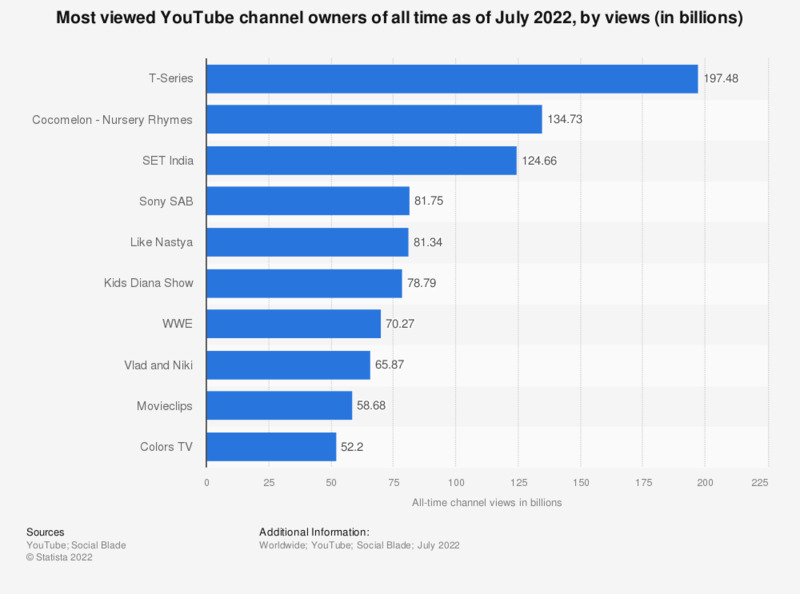 As of January 2019, Ryan ToysReview had reached almost 27 billion lifetime video views. This achievement unseated former first-ranked video game commentator Felix Kjellberg, who produces videos under the name PewDiePie. Selected YouTube channel owners only, excluding VEVO channels, YouTube Spotlight channels, networks, music channels and similar.